Showing results by author "Kevin F. Davis"
If your sales team isn't producing the results expected, the pressure is on you to fix the situation fast. One option is to replace salespeople. A better option is for you to optimize your performance as a sales leader. 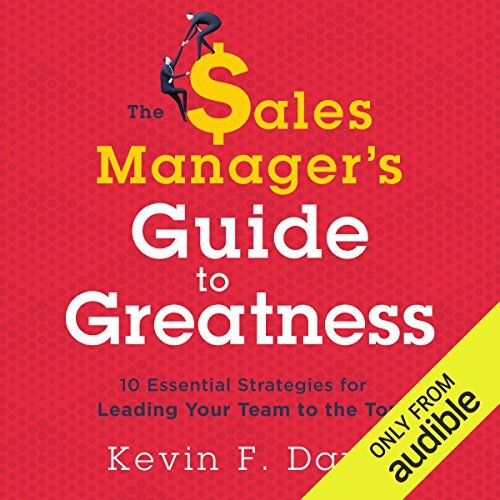 In The Sales Manager's Guide to Greatness, sales management consultant Kevin F. Davis offers 10 proven and distinctly practical strategies, skills, and tools for overcoming the most challenging obstacles sales managers face and moving your team ahead of the pack.